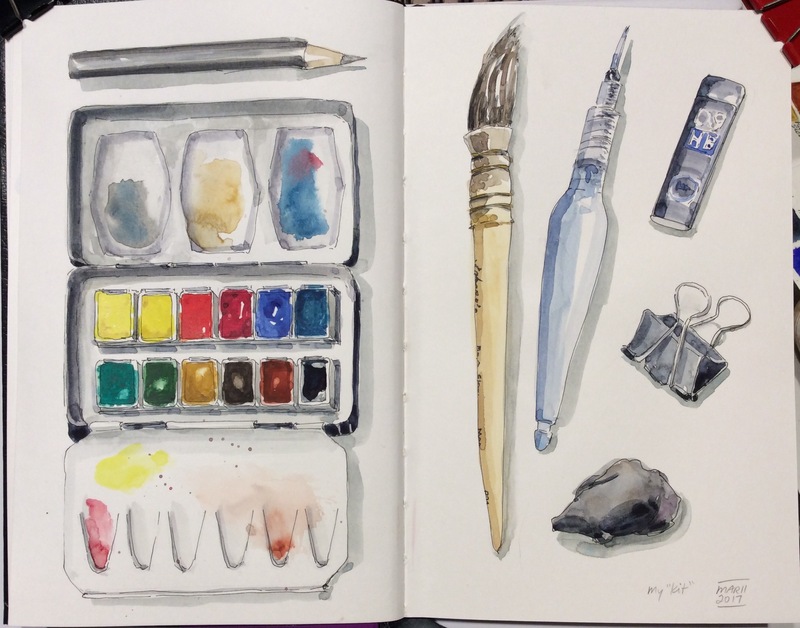 Wil Freeborn’s Lesson 6 is to sketch your painting kit. I’ve noticed that all the sketchers I follow make a point of sketching their “kit”. Now that I’ve done it myself, it feels a bit like a rite of passage. Though, truth be told, my “kit” is still a work-in-progress as I continue to learn about brushes, pens and paint. This is a sketch of my small Schminke travel palette and miscellaneous tools. The grey blob is an indispensable kneaded eraser.